Turkis is an Aulonocara mutation developed originally in Germany. 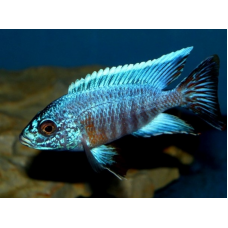 Males are light blue and turquoise with orangish-red mixed into their body. Females are grey with dull grey stripes. 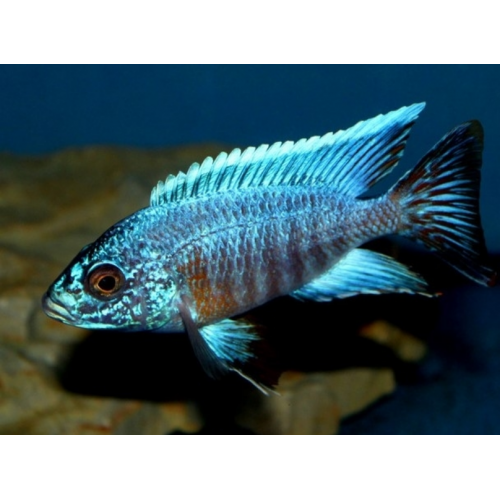 They are one of the more unusual of the Aulonocara Peacocks in color. The photo image is from the HAAS Swap. I will replace it with one of my own once I get a full-color male that I can photograph. Last, count 04/18/2019. Next, count due on 05/10/2019. These fish are being grown out from smaller sizes obtained from my wholesaler. If they sell well enough, I will grow them out from fry as well.